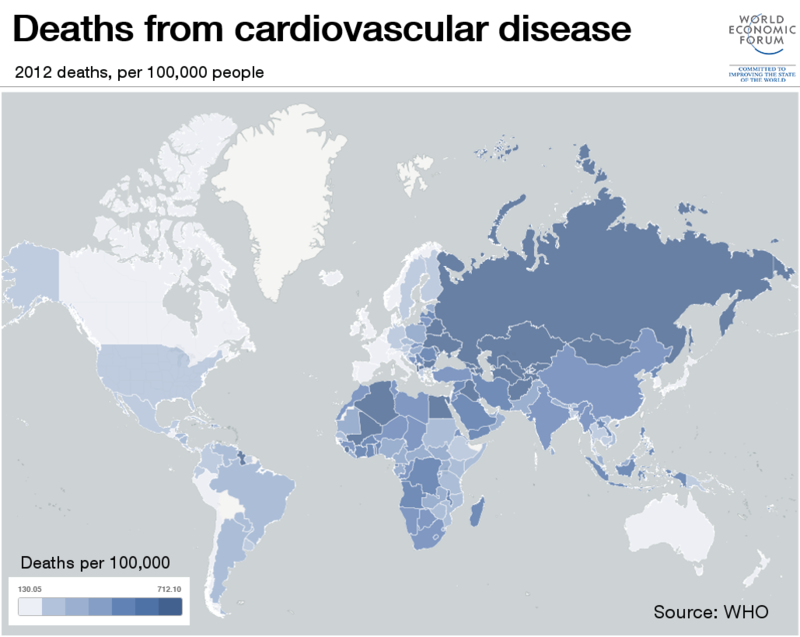 Millions of people around the world take statins to reduce their risk of heart attack and stroke. But new research suggests they may be wasting their time: an international team of scientists has found no link between high levels of low-density lipoprotein (LDL) cholesterol and heart disease in a study of people aged 60 and over. A team of academics and cardiologists from Scandinavia, the United States, Italy, Japan and Great Britain analysed 19 studies involving a total of 68,094 elderly people. They found that in 92% of cases, older people who had high levels of this LDL (or so-called "bad") cholesterol lived as long or longer, and were in fact less likely to die prematurely from other diseases, including cancer. For years doctors have been prescribing statins to prevent cardiovascular disease and atherosclerosis, a hardening and narrowing of the arteries, because they were thought to be linked to high levels of cholesterol. But their findings, published in the BMJ Open Journal , have sparked a backlash from other academics, who say there is a wealth of research showing that cholesterol is indeed linked to cardiovascular disease. To add to the confusion, another recent study claimed that decades of health advice urging people in England to adopt low-fat, low-cholesterol diets had been disastrous for the fight against obesity. One of the authors of the new study on statins, Dr Malcolm Kendrick, defended the controversial findings as “robust” and “thoroughly reviewed”. “What we found in our detailed systematic review was that older people with high LDL (low-density lipoprotein) levels, the so-called ‘bad’ cholesterol, lived longer and had less heart disease,” he said . His co-author, Sherif Sultan, professor of vascular and endovascular surgery at the University of Ireland, said : “Lowering cholesterol with medications for primary cardiovascular prevention in those aged over 60 is a total waste of time and resources, whereas altering your lifestyle is the single most important way to achieve a good quality of life. But Professor Colin Baigent, an epidemiologist at Oxford University, said the new study had “serious weaknesses and, as a consequence, has reached completely the wrong conclusion”. Randomized trials of statin therapy, involving substantial numbers of older people, show “very clearly that people benefit just as much from reducing their cholesterol when they are in their 70s as when they are younger,” he said. The British Heart Foundation also raised concerns about the new study, arguing that the link between high LDL cholesterol levels and death in the elderly is harder to pin down because, as people get older, more factors determine their overall health. “There is nothing in the current paper to support the authors’ suggestions that the studies they reviewed cast doubt on the idea that LDL cholesterol is a major cause of heart disease or that guidelines on LDL reduction in the elderly need revaluating,” the charity said. Consultant cardiologist Dr Tim Chico, from Sheffield University, said he would be more convinced by a randomized study where some patients have their cholesterol lowered using a drug, such as a statin, and others receive a placebo. He said: “There have been several studies that tested whether higher cholesterol increases the risk of heart disease, by lowering cholesterol in elderly patients and observing whether this reduces their risk of heart disease. Have you read? What do healthy-eating guidelines look like around the world? The surprising link between your heart rate and wisdom How can we make healthcare fit for the future?